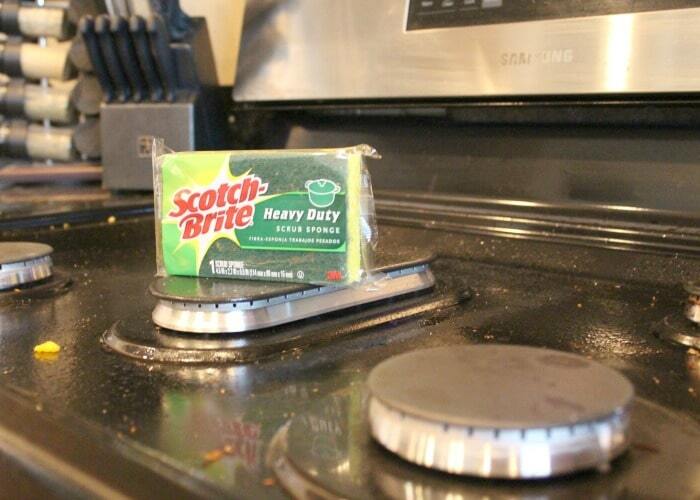 This post on how to clean your stove is in partnership with Scotch-Brite™. 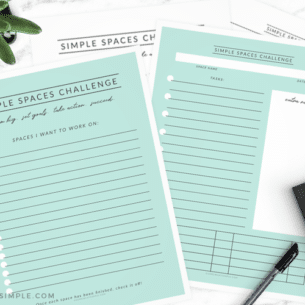 Over the next several months, I will be evaluating some of the Scotch-Brite™ products and I will share all about my tips and successes on Somewhat Simple, because #CleanFeelsGood! As always, the opinions expressed here are my own and the results you see in the post are 100% accurate. 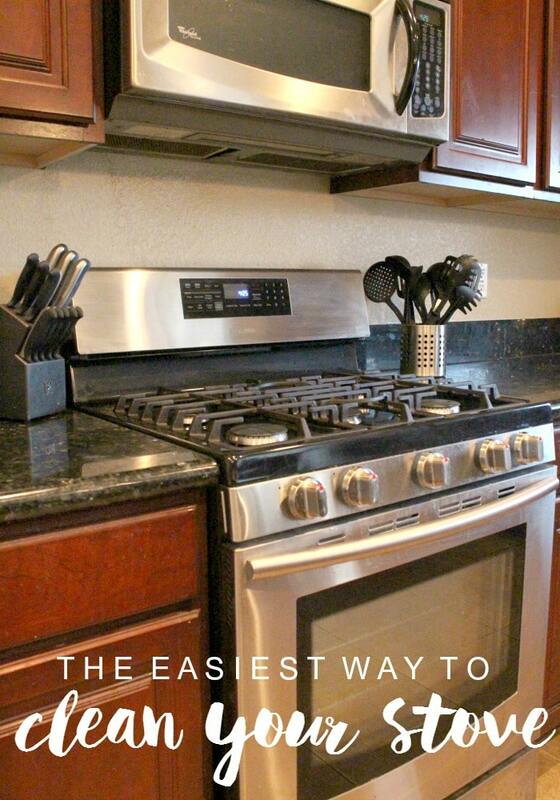 Cleaning your stove can be a daunting task, but one that can really set the mood for your entire kitchen! 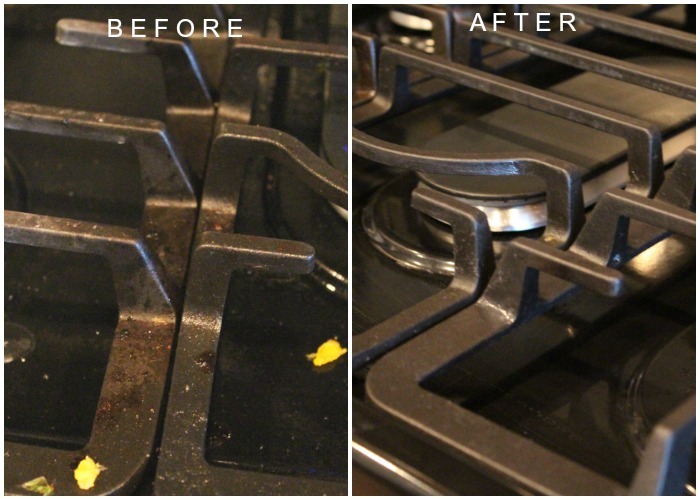 Today I want to show you how to clean your stove in a simple way that involves ZERO chemicals and not even a whole lot of elbow grease! I will admit, cleaning appliances is not my favorite household chore, but I really can’t stand a dirty stove, oven or microwave, so I find myself wiping them down quite often. 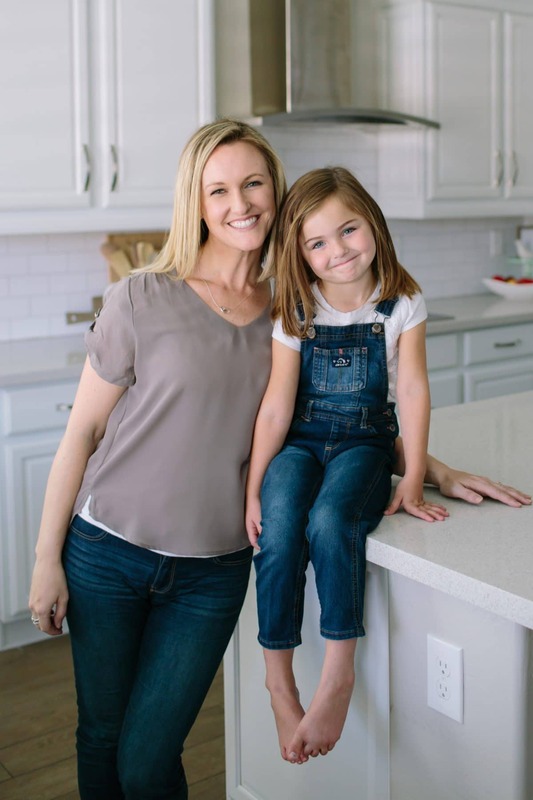 Today I want to show you the easiest way I have found to clean your appliances, specifically how to clean your stove, that will take less than 30 minutes of your time, no matter how dirty it might be. If this scene resembles your stove at all, keep reading! Before I go any further, let me make something very clear: not all sponges are created equal! The Scotch-Brite™ Heavy Duty Scrub Sponge won’t fall apart in your hands – it is sturdy and can remove tough, baked-on messes 50 percent faster than any other competitive sponges. After use in the kitchen, garage, or even in your outdoor space, toss it in the dishwasher to sanitize it and you’re ready to reuse! 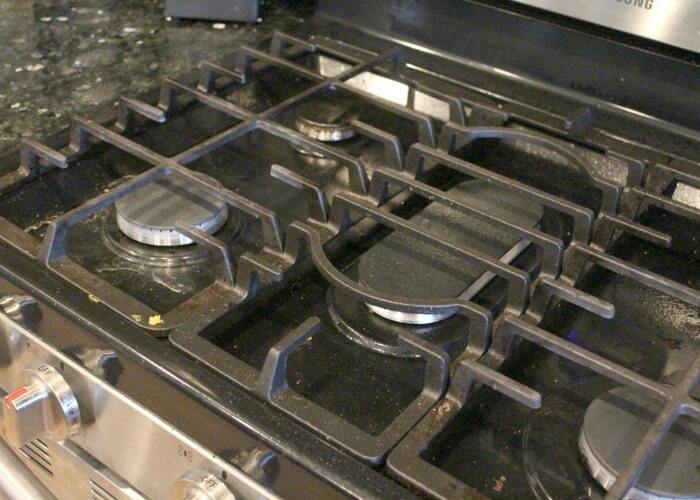 The grease and charcoaled food on this stove is going to illustrate this post perfectly! Step 1 – Fill your kitchen sink with hot, soapy water. 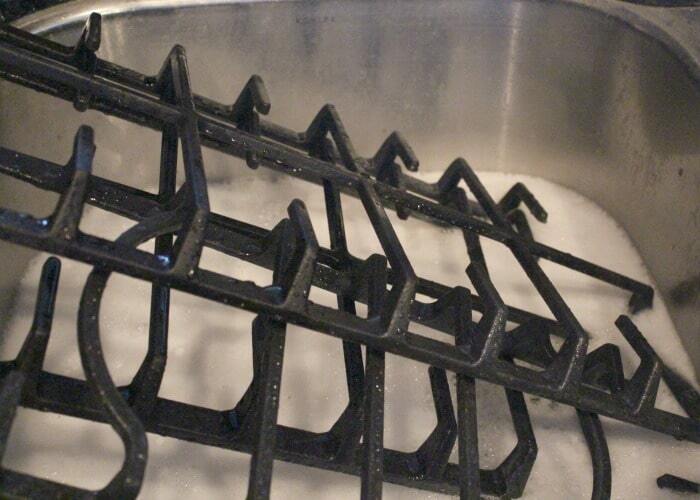 Remove the grates from your stove and set them inside until they are completely submerged. Let them soak while you move onto the next step. 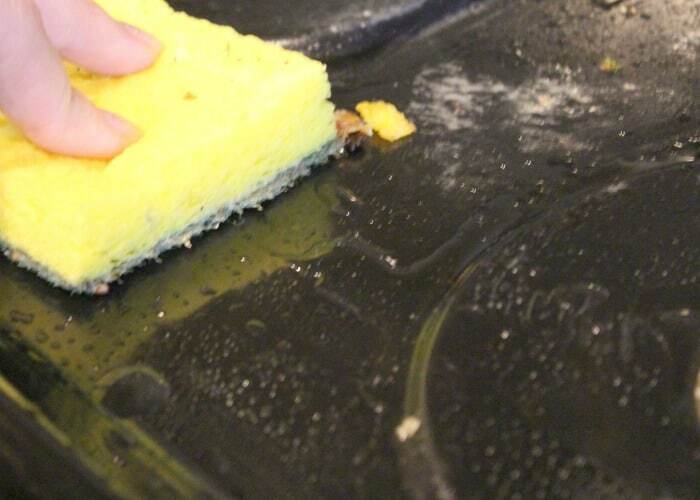 Step 2 – Get your sponge just barely wet and wipe off any loose crumbs. 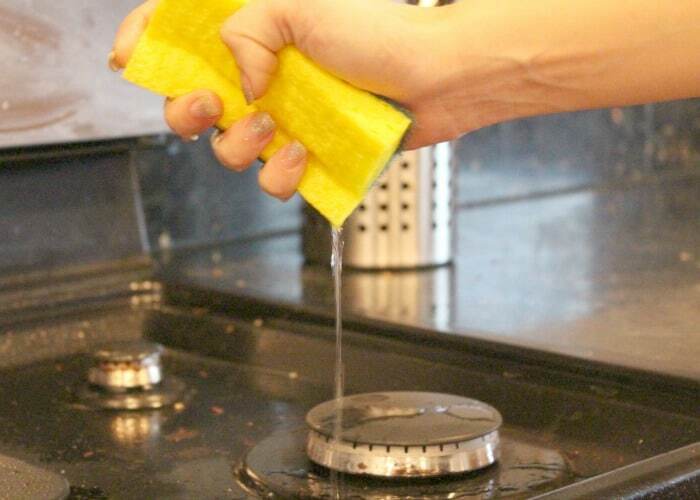 Step 3 – Now soak your sponge in hot water and squeeze off the water onto your stove top. Let this water sit for a minute while you move onto step 4. 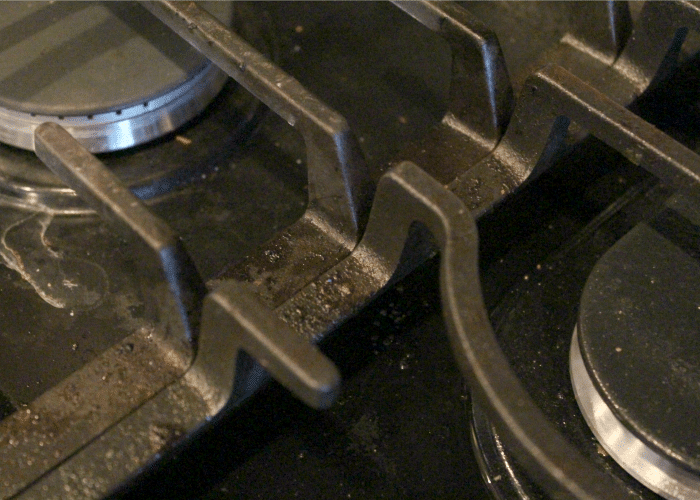 Step 4 – Remove the pieces around each burner and set them on your counter. Wipe down each piece with your sponge, adding more hot water as needed. This step is probably the most labor intensive, but you will be surprised at how easily the grease comes off by simply scrubbing gently! 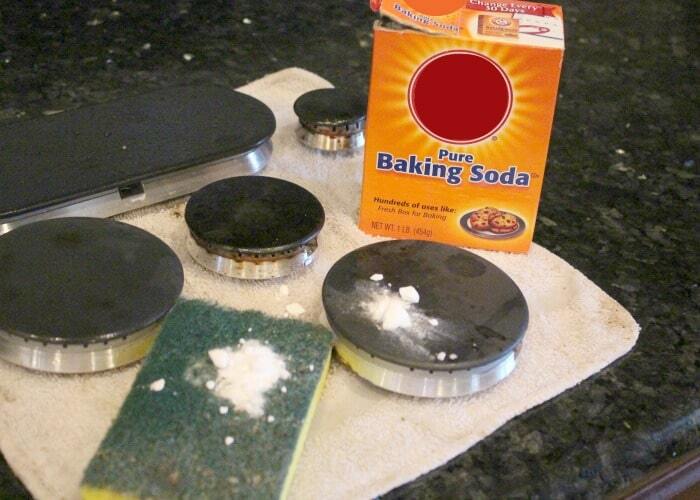 For tougher spots, use a small amount of baking soda sprinkled on the scrubbing side of the sponge. Step 5 – Now that your hot water has worked its way through the charcoal and grease spots on your stovetop, gently scrub the messy areas. Make sure you get all the little nooks and crannies! 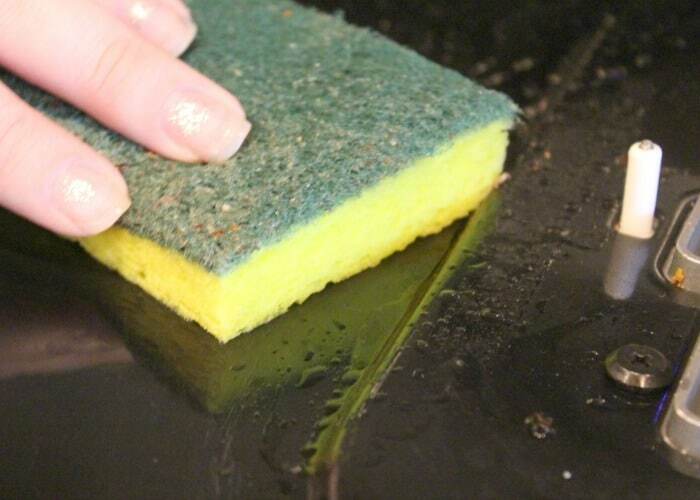 Step 6 – Rinse your sponge and then get to work scrubbing each of the stovetop grates that have been soaking in your sink. 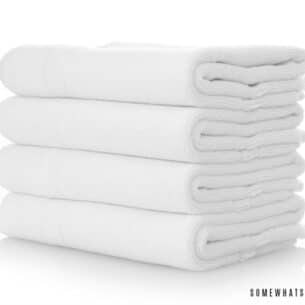 Dry them off with a dry rag or paper towel. Step 7 – All that is left now is to put all your pieces back and admire your work! 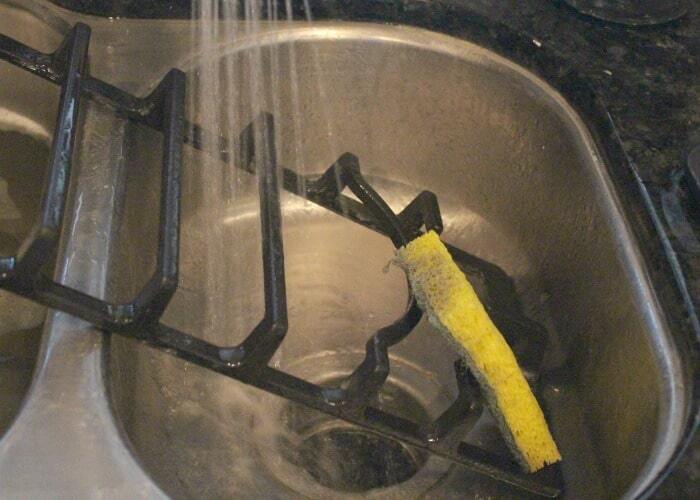 You can use this sponge to clean pots and pans, oven racks, garden tools, tires and more! Scotch Brite does not recommend using it on Teflon, non-stick surfaces, stainless steel appliances and car rims. This is a sponsored post in partnership with Scotch-Brite™ Brand. Thank you for supporting our sponsors so we can continue to provide creative content to Somewhat Simple.